As part of efforts to implement its all encompassing health strategy, the federal government has committed over $55.5 million (N17 billion) for the implementation of the Saving One Million Lives Initiative programme for Result (SOML-PforR) which has already commenced. 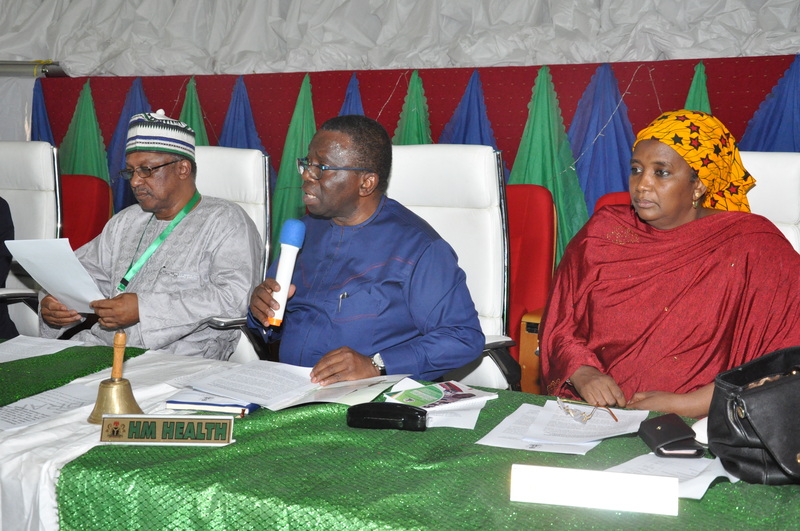 Minister of Health, Professor Isaac Adewole, made this known yesterday in his keynote address at the formal opening ceremony of the 59th National Council on Health meeting, saying that the fund was released to the 36 states and Abuja with each of them receiving $1.5 (N457.5 million) for the programme. According to him, the money served as initial “pump to drive the delivery of the SOML indicators and enable states address legacy issues”, adding that the federal ministry of health has already built the capacity of states programme officers on the management of the programme. However the minister noted that though the SOML funds had been released states were still facing difficulties in accessing it. He assured that the bottlenecks were being resolved as the “PMB administration will ensure probity, accountability and prudence in the use of the funds given to states”. To this end, the minister said that the federal ministry of finance has finalized arrangement to engage an independent verification agent for the programme thereby facilitating disbursement of more funds to the states, “especially with the completion of health facility and multiple indicator cluster surveys”.